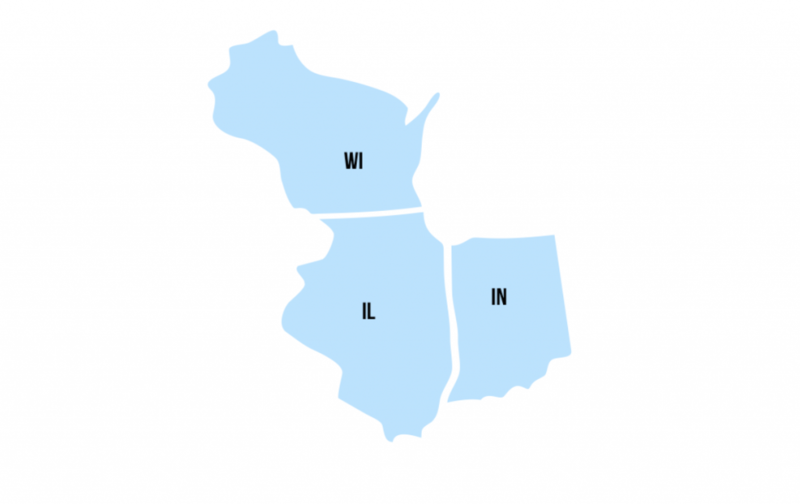 Region VII includes the states of Illinois, Indiana, and Wisconsin; the Archdioceses of Chicago, Indianapolis, and Milwaukee; and the Dioceses of Belleville, Evansville, Fort Wayne-South Bend, Gary, Green Bay, Joliet, La Crosse, Lafayette IN, Madison, Peoria, Rockford, Springfield IL, and Superior. 923,000 Hispanic Catholics born in the U.S.
36% are Hispanics / Latinos born in the U.S. 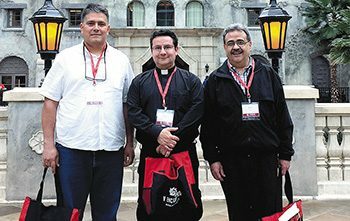 Sent 110 delegates to the National Encuentro, including 6 ENAVE/ERAVE and 5 bishops. 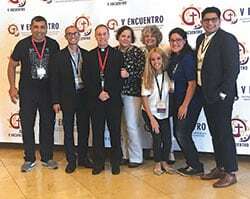 The Regional Encuentro was celebrated with 188 delegates and 6 bishops. 12 Diocesan Encuentros were celebrated, with total attendance of 2,420. 143 parishes / organizations conducted the five sessions and 99 held a Parish Encuentro. 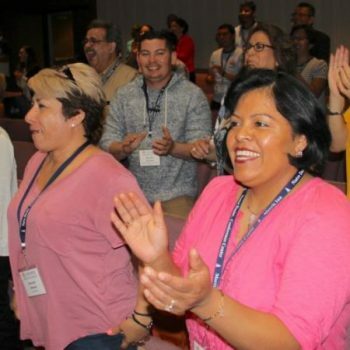 1,242 leaders from 130 parishes received training for the V Encuentro in 102 trainings. 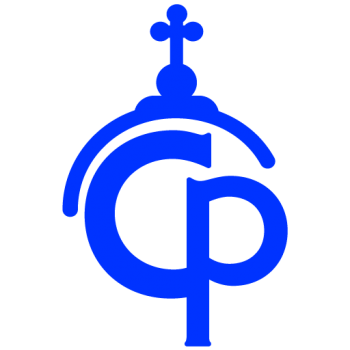 * Of the sixteen (arch)dioceses in the Region, two do not have an office or personnel for Hispanic Ministry or Multicultural Ministry. 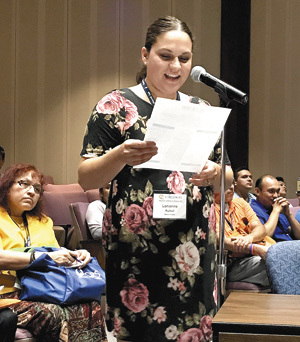 The preparation and implementation of the VEncuentro process in our Region gave many of our communities the opportunity to discover the richness of theEncuentro with each other in the mission phase of the process. 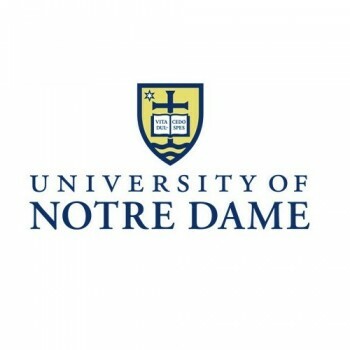 Many of them have embraced this action as a powerful tool to evangelize and reconnect with inactive Catholics and sometimes neighbors in their own“backyards”. 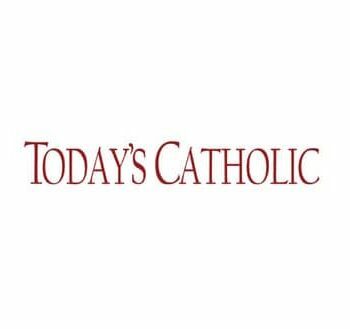 Their renewed vision as missionary disciples has motivated them to continue visiting and listening to people in the peripheries. 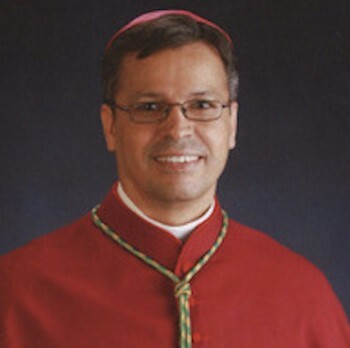 The Process of the VEncuentro has forged a renewed pastoral de conjuntoas we worked together to provide an effective and cohesive model of cooperation and collaboration with the individual dioceses of our Region, without losing our identity as one regional body in Christ. At the end of the Regional Encuentro, the fraternal care and joy of having concluded this part of the process will motivate future parish, diocesan and regional work.